However, not needing to manage any servers has other benefits beyond the capabilities to achieve web scale. 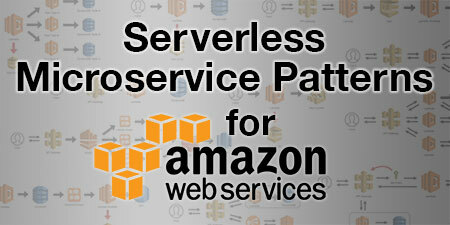 Having on-demand compute space also make serverless the perfect candidate for smaller workloads. In this post, let’s discuss how we can utilize serverless to handle our “less than unicorn 🦄” services and the benefits this can bring. But seriously, my point is that low-traffic, low frequency functions are just as practical with serverless as are massively scalable deployments. One of the main benefits (and promises) of serverless is that you don’t pay for idle time. You only incur fees when your code is actually running. If you couple this with the scalability aspect, using serverless to perform infrequent tasks (especially ones with spiky traffic) saves you from needing to provision extra capacity and waste money on all that unused compute power. I love reading articles about people who are pushing the limits of serverless and finding new and interesting ways to solve real world problems with it. But I love serverless in generally, and while the aforementioned deployments are amazing, I’m also interested in how people are using serverless to solve simpler problems. Where are the stories of the support tech at a small manufacturing company that automated a Lambda function to send daily production numbers to management? Or the small marketing agency that used API Gateway and a Lambda function to merge information from a lead form, send it to multiple marketing automation platforms, and return a protected download to the customer? Or a photographer that uploads 3,000 wedding photos to S3 and has a Lambda function process, resize, and publish them to a browsable web album in just a few minutes? Or maybe just a simple ETL task that was powered by Lambda to push a few logs into an RDS database each night? Many of the things I mentioned are the types of custom applications my old web agency used to build for clients all the time. Sure, they aren’t the most exciting things we’ve ever seen, but they are real problems that real small and medium-sized businesses need to solve. And while these applications don’t need to support millions of requests per day, serverless would still be my top choice for building these. There have been a number of “discussions” around the web about whether or not serverless makes sense in certain situations. For example, some argue that steady workloads handled by a pair of EC2 servers might be more “cost effective” than going serverless. There was a great study done about the Economics of Serverless that looked at this question in depth. TLDR; if you have high, steady traffic AND you don’t include additional server maintenance costs and fault tolerance, then at certain scales, serverless might be more expensive. But regardless of that argument, the vast majority of infrastructures (even those that handle significant load) are often overprovisioned to handle traffic spikes. Auto-scaling typically isn’t fast enough, which requires you to pay for a lot of idle resources. Serverless certainly provides many benefits for these types of large, heavy-load applications. However, overprovisioning isn’t a mutually exclusive problem for applications at high scale. Even running a small EC2 instance to handle some periodic workloads will cost $20 per month and could a) be overkill (like handling low-volume form processing) or b) lack the capacity for performing periodic high capacity tasks (like a nightly ETL job). And while, granted, we’re not talking about a lot of money in this example, costs can certainly add up when you start to require different resources for different types of workloads. AWS Lambda (and other serverless services) charge you using subsecond metering. If you only use 100ms of compute time a few times an hour, you only pay for that compute time. No server patching or capacity planning needed. Set it and forget it. Whether you have 5 requests one hour and then 5 million the next, serverless will automatically scale capacity to meet demand. No ELBs or auto-scaling groups required. 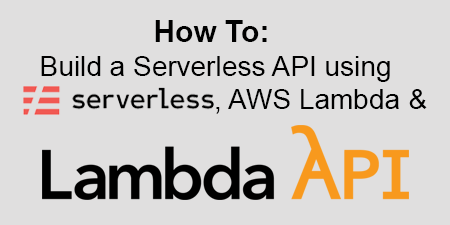 AWS Lambda functions are served up across multiple availability zones. Unlike with a single server (or even a small cluster), your serverless code will remain available (and scalable) even if a major part of the infrastructure fails. AWS Lambda currently supports multiple versions of Node.js, Java, Python, .NET Core and Go. This type of flexibility makes hiring outside resources easier since you are not limited to specific runtime requirements. It also means you can likely migrate existing applications to serverless without rewriting them. If you ARE using serverless to build small applications or handle periodic workflows, please email me or DM me on Twitter. I’d love to hear about your use cases and how serverless is saving you time and money (and eliminating the 2 AM server outage text messages 🤦🏻‍♂️). If you are NOT using serverless to handle these types of tasks, I suggest that you give it a go. If you think you can’t use serverless, I’d really love to know why. Please send me a note as well. 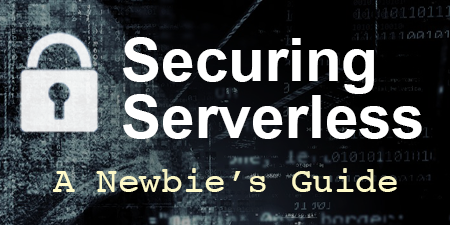 If you’re new to serverless, read my post 10 Things You Need To Know When Building Serverless Applications and check out 5 Reasons Why Your Serverless Application Might Be A Security Risk. 🗓 This post was originally published on July 16, 2018 by Jeremy Daly.